Preheat oven to 180 degrees Celsius/160 degrees Celsius fan-forced. Preheat grill. Place eggplant slices on greased oven tray; brush lightly with about half of the oil. Place under hot grill until browned both sides. Heat remaining oil in large flame-proof casserole dish; cook onion, stirring, until onion is browned lightly. Boil, steam or microwave beans until tender; drain. 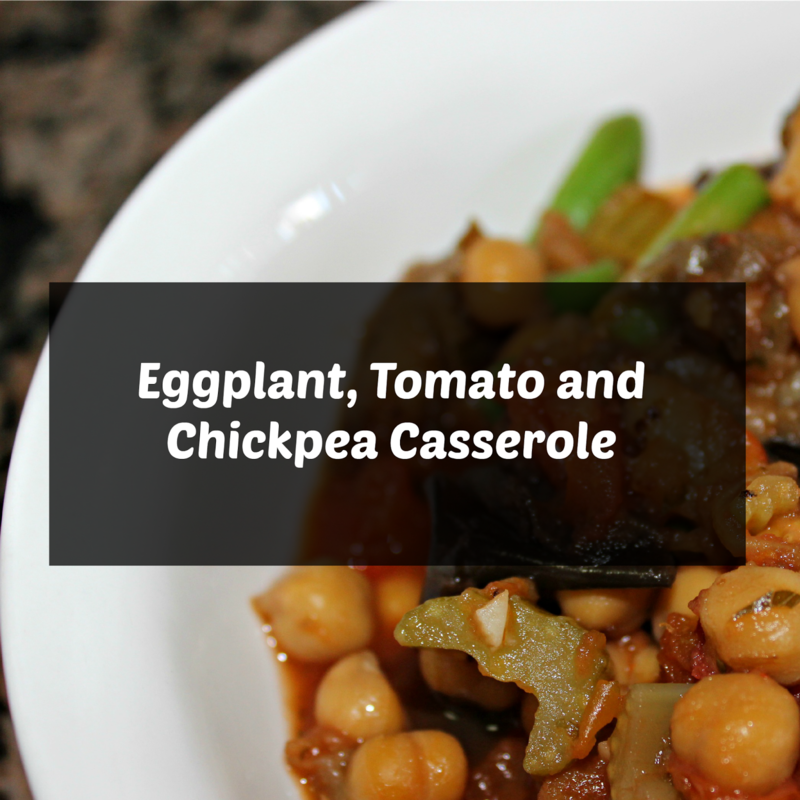 Stir in eggplant, garlic, celery, chickpeas, tomato and herbs. Cook, covered, in oven for 45 minutes or until vegetables are tender. Remove from oven; stir in paste and beans. And there you have it! A super yummy casserole dish, which is vegetarian! Don't worry, not all my dishes will be vegetarian, I just had some eggplant left over. As the recipe does make 4 servings, I had to half the ingredients as I knew no one else in my family would eat it as they'd all be asking 'where's the meat?' So I made 2 servings, which I ate one and kept the rest in a container, ready for me to eat at work in one of my breaks. Send me your results! I'll be excited to see what people do with this recipe.